Consider the absurdity of splash and dash at its height: According to the Department of Energy, in 2008 the United States produced 678 million gallons of biodiesel and exported 677 million gallons. We imported 315 million gallons, and domestic U.S. consumption was 316 million gallons. That particular stratagem ended in 2009, but exports haven’t. Despite not meeting the mandated minimum for domestic biodiesel use last year, more than a third of the biodiesel produced in this country was exported in 2010. This shouldn’t surprise anyone, but it is frustrating nonetheless. These companies would appear to have collected over $300 million in U.S. tax credits (and these tax credits are often defined a “refundable tax credits” which mean the IRS can actually write you a check if the tax credits exceed corporate tax liability, which they often do) at the expense of the U.S. taxpayer while not making any actual progress on the (still misguided) attempt at shutting the U.S. economy off from foreign sources of energy. There is a sophisticated secondary market for RINs among “obligated parties”​—​i.e., energy companies who must blend biofuels into petroleum-based fuels to meet the standards. Companies who earn RINs may sell them to companies who don’t. It is a miniature cap and trade regime. Energy companies who cannot procure advanced biofuels on the market because supplies are not available are forced to buy RINs. Given the production situation​—​overproduction of corn ethanol combined with severe underproduction of advanced bio-fuels—it came as no surprise to industry observers when a Maryland biodiesel producer was indicted for fraudulently selling counterfeit RINs. Yet, to effectively maintain the overall biofuels mandate imposed in 2007, the Obama EPA recently proposed to increase the 2013 biodiesel mandate above the statutory level of 1 billion gallons to 1.28 billion gallons. There can only be one outcome: U.S. diesel users will pay more for fuel in order to offset the cost of imported sugar ethanol from Brazil and the lack of viable commercial cellulosic production technology. With every government regulation comes an army of lawyers and a large complex program that those affected have to comply with. The author didn’t include another recent RIN scam put on by our own government, which is the EPA requiring that fuel producers continue to purchase cellulosic ethanol RINs despite the lack of cellulosic ethanol on the market, to the tune of roughly $6 million in 2011. Read the entire essay here. The ethanol tax credit and corresponding tariff on ethanol imports is scheduled to expire at the end of the year and it seems very unlikely that either will be renewed. However, as one subsidy dies a new one might take its place. 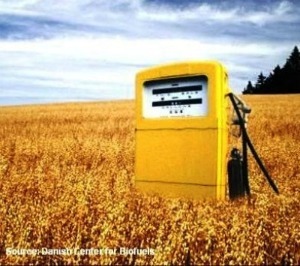 The ethanol industry is now promoting an ‘open fuel standard’ (among other ideas) which would give consumers the choice require that gasoline stations sell larger blends of ethanol (e15 and higher) while also mandating that automobile manufacturer’s begin building out their vehicle fleet to be flex fuel compatible, or able to run on higher blends of ethanol. I criticized that idea here. The largest subsidy for the ethanol industry is still the renewable fuel standard. It seems very unlikely that ending this fuel standard would be politically feasible, though it might be possible to change the legislation such that current blend levels are frozen in place while not requiring that they continue to increase until 2022. Why don’t you mention the amount of biodiesel exported this year? You also spend a lot of time talking about splash and dash, but gloss over the govt and industries efforts to correct it (very successfully). Further, you don’t seem to have an understanding of how the market works. While it’s unfortunate that people continued to export after the close of the splash and dash loophole, you omit the fact that this was the only viable option for many people to keep their doors open. The tax credit had expired so the price of biodiesel jumped significantly above petrol, creating a huge downward force on demand. Unless you’re advocating that biodiesel producers are not allowed to export, I don’t see the problem with Americans doing what they can to keep their business running and their employees employed. Tax pay money isn’t getting flushed to Europe, because this credit still allowed these domestic business’ to thrive, even if their product was going to another market. The RFS has fixed this by crating a mandated domestic market. Now we see that minimal volumes of biodiesel are exported. While these cases of RIN fraud are also unfortunate, you’re painting an entire industry with a broad brush. Actual production is at record levels, and the industry is deeply concerned with cases like these, as RIN integrity is an issue no one takes lightly. The cause for this concern? Well trolls tend to take the actions of two bad actors and use it to paint the other 199 plants in a negative light. Instead you should realize that EPA is pretty familiar with the program they wrote and are catching those who are trying to cheat the system. Good on EPA. 38 digit RINs no longer exist. Soooo 2009. EPA has replaced with with a much more user friendly system, though figuring out how to do the trading correctly takes some education. The biomass-based diesel schedule went up to a billion and the number is still listed as a billion till 2022. The language of the rule states that biomass-based diesel will go to 1 billion gallons in 2010, and be AT LEAST 1 billion gallons after, with the ability of the Administrator of EPA to increase that volume if possible. The biodiesel industry understood the uncertainty in the future of the industry, as far as volumes are concerned and didn’t want to make the same mistake the celulosic industry has made; not having the production/feedstock capacity to meet the mandate. Now that there is more certainty, it’s clear that the biodiesel posesses the production and feedstock capacity to increase the volume. This was always a given. If there can be more biodiesel, there should be more biodiesel. It’s just that in 2007, it wasn’t well known what the potential could be. and that “one outcome?” Empirically false. In many places throughout the country, but particularly in the midwest, biodiesel and biodiesel blends dropped below the price of petrol diesel. Because of this program. Next post: Is Flood Magnitude in the USA Correlated with Global CO2 Levels?